Protects your leaves from dents, chips and scratches when they're not in use. 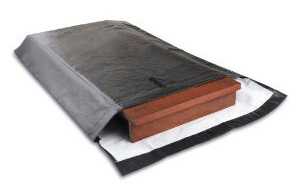 Fits extension leaves up to 24" x 50"
Customers purchasing a dining table pad set today, just enter quantity of bags desired and click add to cart. All others please enter your leaf measurements below.